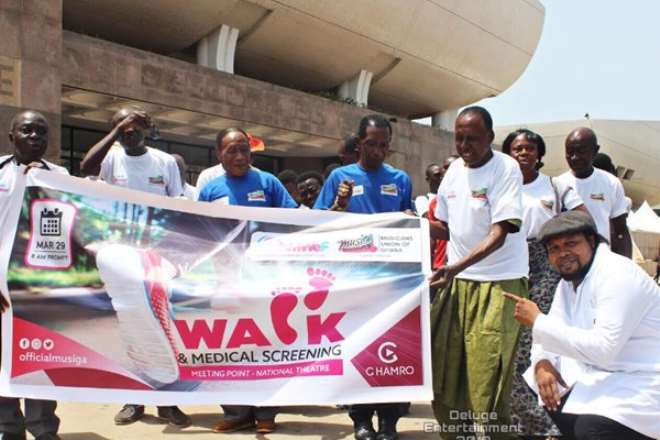 The Musicians Union of Ghana (MUSIGA) has organised a medical screening and walk for veteran musicians. 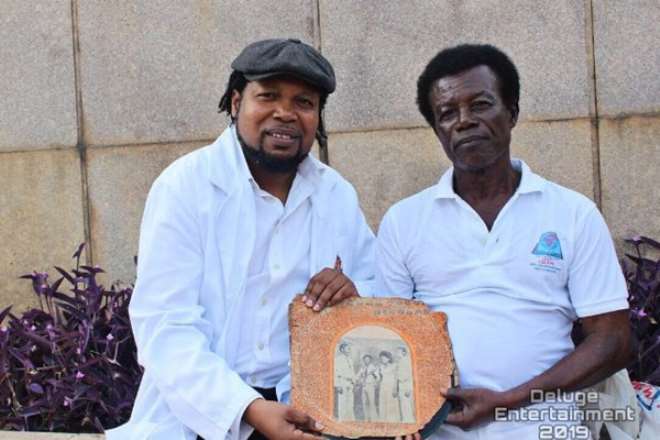 The event came off with help of singer Knii Lante and the Ageing Musicians Welfare Fund (AMWEF) which was created to cater for members of MUSIGA who are 60 years and above. It is also to among others to establish a database of musicians who have become incapacitated during their musical lives and to register all targeted beneficiaries with the National Health Insurance Scheme (NHS). The screening was spearheaded by the “Baby Take Good Care” hitmaker who doubles as a medical doctor (physician specialist). 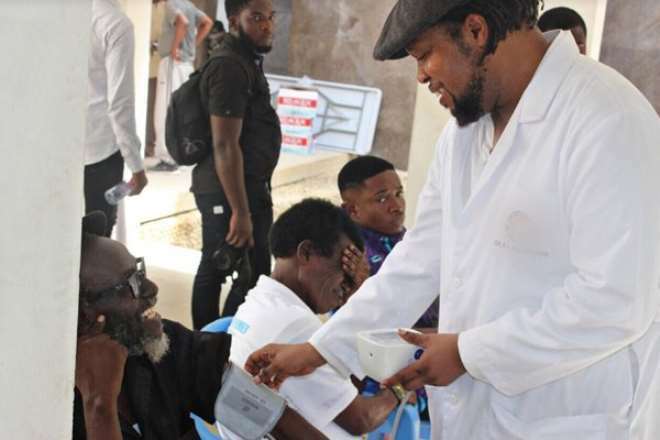 Award-winning singer, Knii Lante, decided to offer his medical expertise as a way to appreciate the old stars, many of whom, inspired him in his musical journey. 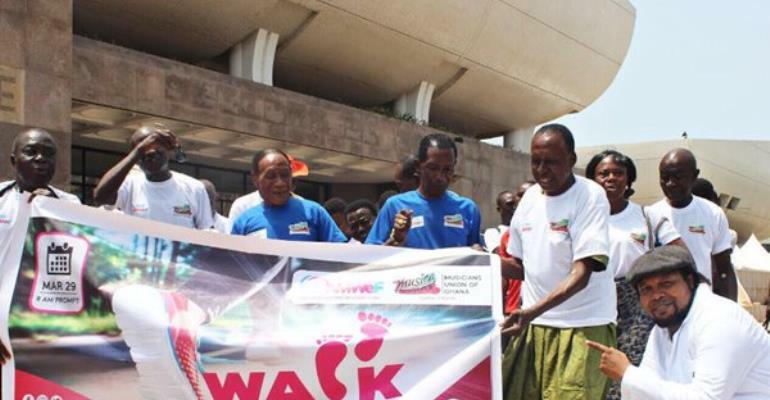 Veteran musicians like Pat Thomas, AB Crentsil, Alhaji Sidiku Buhari and many more came to participate in the activities.